Need a way to reduce overthinking, second-guessing, and analysis paralysis? One simple guiding principle can work wonders! I used to overthink, second-guess, and experience analysis paralysis with the best of them. 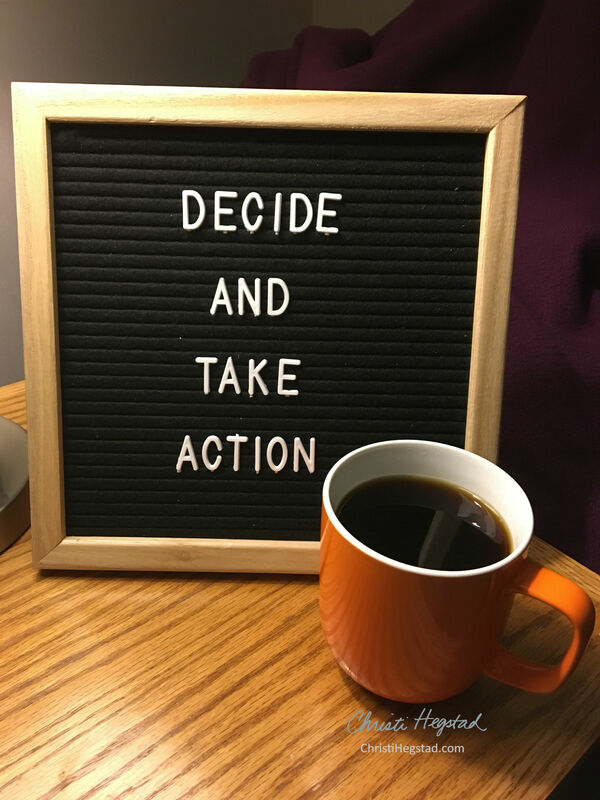 Adopting “Decide And Take Action” as one of my guiding principles years ago has made a world of difference! When I have a decision to make, I do my due diligence: Conduct the necessary homework, check in with my values and purpose, and weigh the possible outcomes. Then, I make a confident decision, and immediately take an action in favor of it. Doing so instantly puts me on the pathway to success, plus it reduces or eliminates any “buyer’s remorse” or second-guessing that may follow a decision. Embracing this guiding principle has saved me time, stress, and mental energy in a variety of ways! Consider giving it a try, or feel free to share below the action or guiding principle that helps you curb overthinking and move forward with clarity and confidence. Here’s to clear and purposeful decision-making!